We all know that when it comes to removing plaque, the dentist will do the job perfectly. However, there are many natural recipes through which you can get rid of plaque at home. Put the walnut husks in a bowl, add the water and place the mixture on fire. Cook for 15 minutes. Soak your toothbrush in the resulting mixture and wash your teeth for 5 minutes. Repeat this procedure in the morning, afternoon and evening. Put the ingredients in a bowl, cover them with water and place the bowl you are using on low fire. Cook the mixture for half an hour. Wash your teeth with the resulting mixture after every meal. 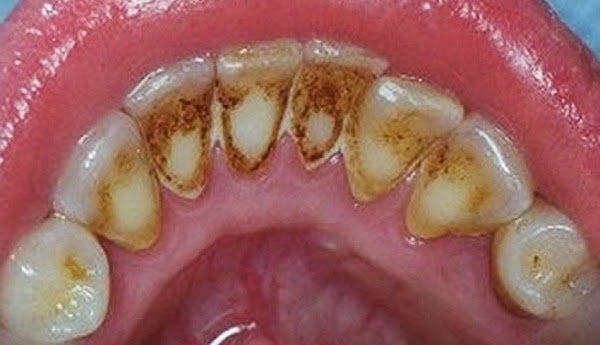 Apple cider vinegar can also be used for removing plaque, but only once a week. Soak your toothbrush in apple cider vinegar and wash your teeth. Rinse thoroughly your oral cavity with water in order not to damage teeth’s enamel.